Cape Town is a famous tourist destination on the southwestern coast of South Africa. The city is home to more than 4.2 million people as well as an incredible array of awesome and exceptional experiences for you to enjoy. In Cape Town, you’ll discover spectacular beaches, fascinating history and top-class shopping experiences. The top attractions in and around the city include Table Mountain, the V&A Waterfront and Camps Bay Beach. Are you ready for an adventure in South Africa that you will never forget? Because cheap SAA flights from Johannesburg to Cape Town are now available! Cape Town’s hub airport is Cape Town International Airport (CPT), which is a 15-minute drive from the city centre. 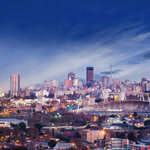 Book cheap SAA flights from Johannesburg to Cape Town at Travelstart today! 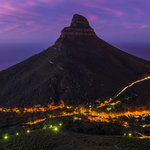 There are numerous attractions waiting for you in Cape Town, including the Cape Winelands, Blouberg Beach and Lion’s Head.